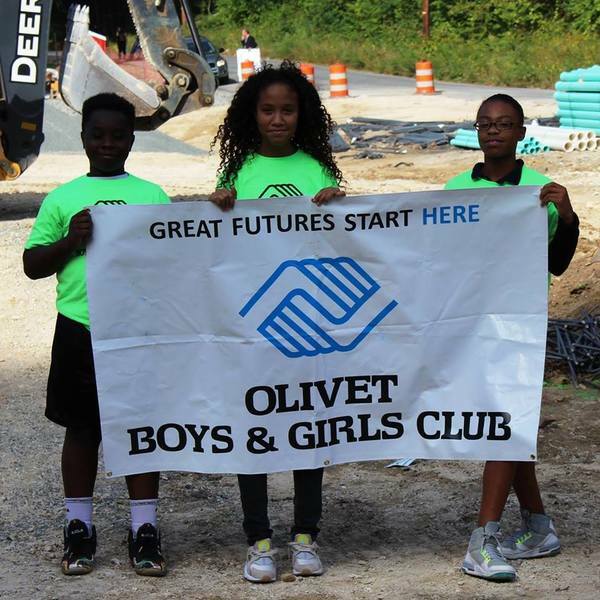 Olivet Boys & Girls Club is one of the original Boys & Girls Clubs of America. They are a youth group, ensuring every students’ success by providing education support, afterschool programs, and mentoring all year long, for free or at reduced costs. Rose Morales has been with the Olivet Boys & Girls Club for 15 years. She started in the Finance Department, and, in recent years, has taken on the role of Executive Assistant. Fundraising software is crucial to Rose’s role, as it provides key information she needs to provide her major donors and constituents. Rose, you had used Raiser’s Edge for nearly 15 years. What prompted you to start looking for a new fundraising software? We needed to be able to pull reports that are accurate. We have never been able to do that. I’ve always kept a spreadsheet, in addition to having Raiser’s Edge, because I knew at least my manual reporting was accurate. A couple years ago, a staff member used Raiser’s Edge to give a revenue total to one of our major fundraisers in the area, a business owner. Meanwhile, I had already sent out the weekly newsletter with the correct revenue total that I had gotten with my manual report. The discrepancy, I felt, made us look incompetent to our constituents. How has the switch benefited you so far? Well, we can now look at clean, accurate reports. This hasn’t happened in 15 years! I mean really, we wasted more and more time trying to make Raiser’s Edge work. Now, it only takes one person to run a report, since we don’t need to cross-check. Initially, it took four of us to get it right. We’d run reports separately, compare notes, find a discrepancy, then keep trying to match up again. What was the transition process like from Raiser’s Edge to DonorPerfect? It was fast. My associate director was like, ‘Are you sure the switch is done already?’ Then we checked the data against Raiser’s Edge, and everything matched. We are good to go. For our staff: I used to have to put weeks and weeks of training into people – we’ve got a big turnover, around here – and I thought, ‘I can’t keep training people like this. They don’t get it because it’s not easy.’ I said to our board members, ‘We need something user-friendly.’ DonorPerfect is easy to pick up, which means less time training. Generating letters. Before, we’d have to go to our IT people to pull up a copy of our letter templates. You couldn’t save it in Raiser’s Edge like you can in DonorPerfect. I had never generated letters before in DonorPerfect. I hadn’t used any of my training yet, and I was just able to figure it out myself. I think it’s because Raiser’s Edge is so hard that, when we got DonorPerfect, it was like a wizz to use, very user-friendly for us. Even without the training, we are all just comfortable. Events with DonorPerfect will be easier, too. With Raiser’s Edge we could not take donations at our events without having to write down the names of each individual donor, in addition to swiping their credit card. Even though Raiser’s Edge also has a mobile app, their card readers were only able to capture the last four digits of a credit card. It doesn’t show who made the credit card donation or anything like that. So, as we’re swiping the cards, we’re taking the last four digits to try to match it up with the report later. How does DonorPerfect support compare to Raiser’s Edge support? When we used to call Raiser’s Edge for support we’d be on hold for 45 minutes, after going through a phone tree and pressing several numbers. Then, when we’d actually get somebody, they’d say, ‘Well, you have to reference the knowledge base,’ when I just needed help from an actual person. Most of the time, you get a support rep, outsourced from another country. I wanted somebody local. I attended DonorPerfect’s conference and was personally invited by the staff to come see the office, located outside of Philadelphia. That invitation really meant a lot to me. Has DonorPerfect helped you to focus more time on your goals? When I’m out, soliciting people, I don’t have a lot of time to spend on the computer. If I can come in and get something done in 20 minutes, that used to take four hours, that’s help to me. I’ve already been able to go out to the venue where we’re going to host an upcoming, annual fundraiser – twice. Usually, by this time of year, I would not have gotten out to them at all. We’re far ahead with that. I just have a lot more free time now to go out and solicit these people and attend our own events. Last year, I missed a lot of them because I just couldn’t get out of this office. Now, I won’t even have to keep that spreadsheet anymore!